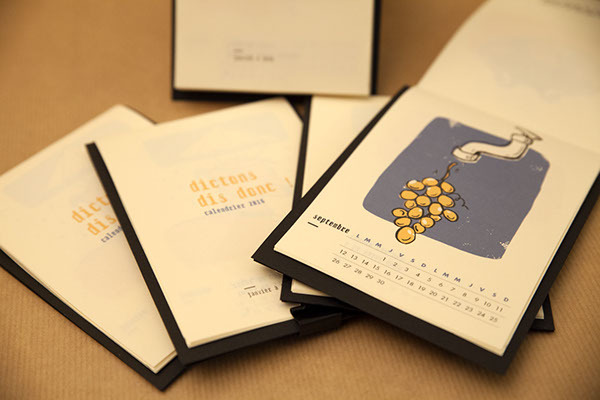 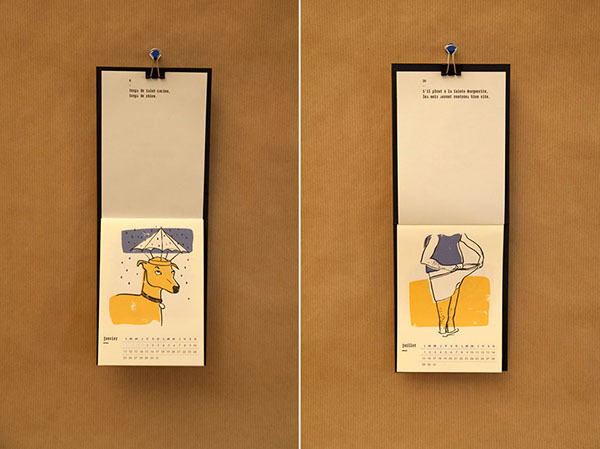 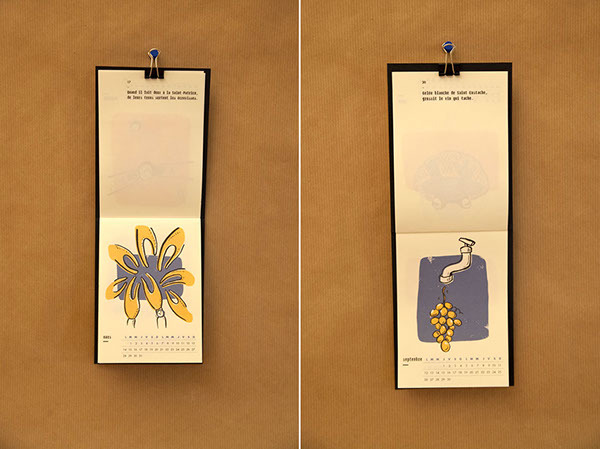 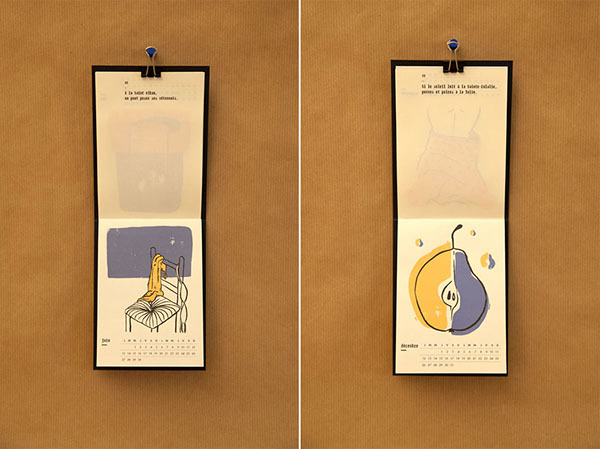 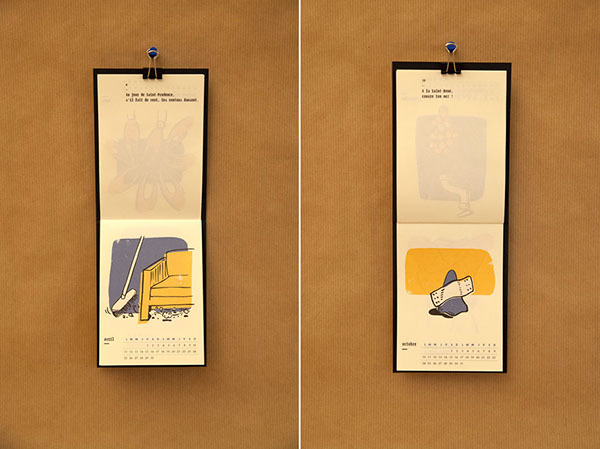 Calendar printed on both sides : january to june on front side and july to december on back side. 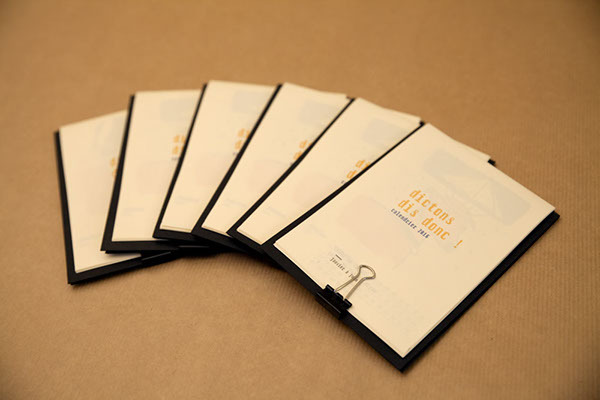 "Dictons dit donc !" 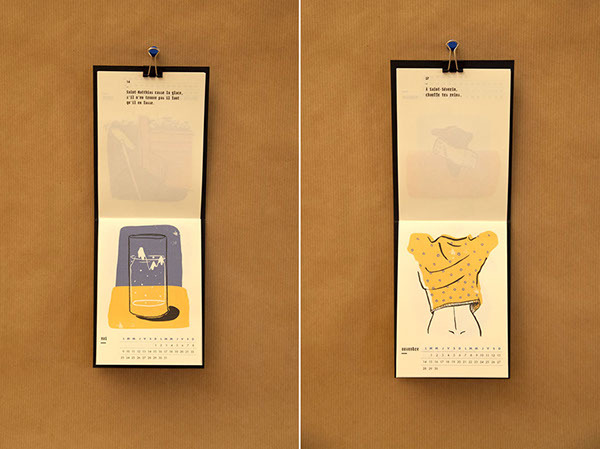 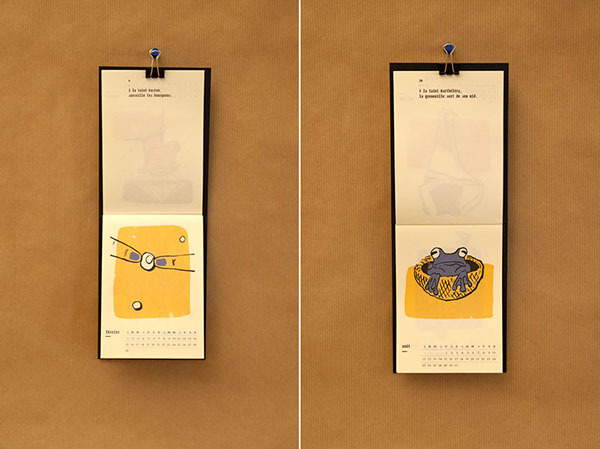 - calendar 2016.